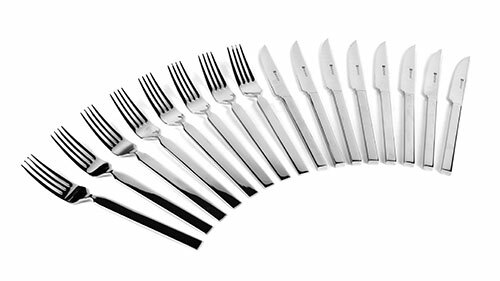 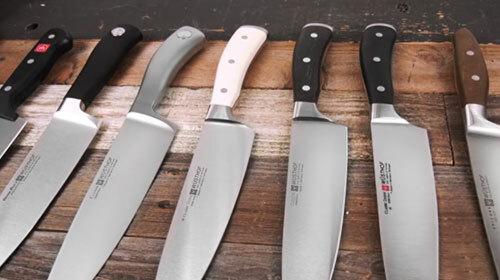 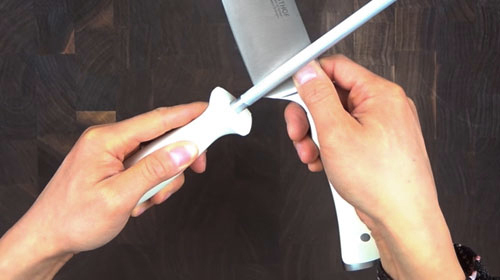 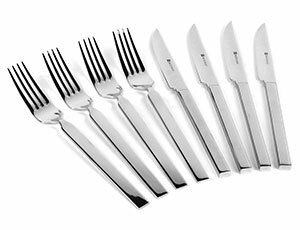 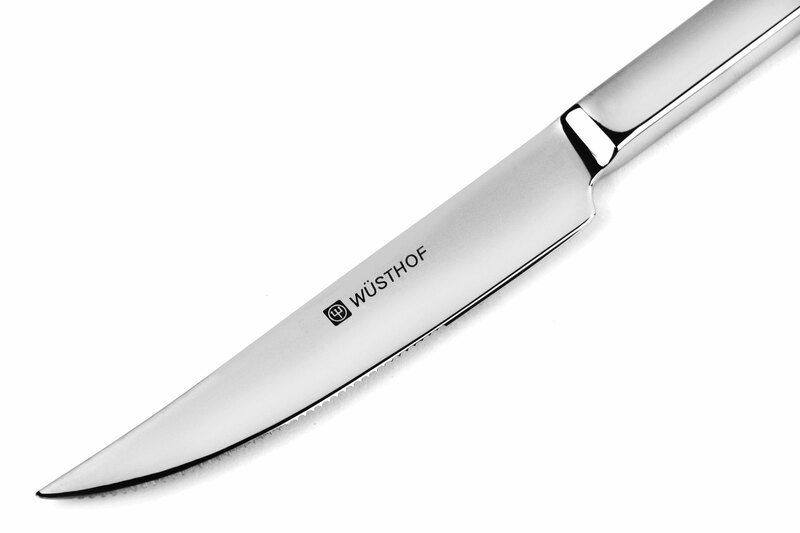 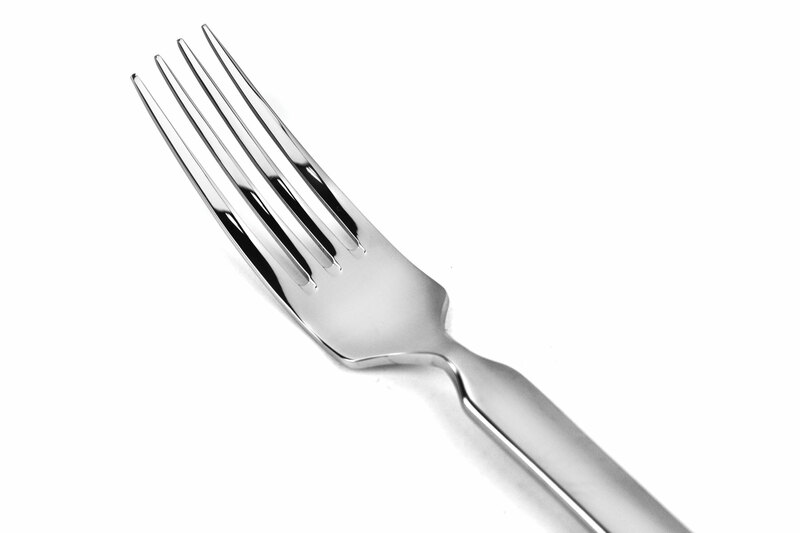 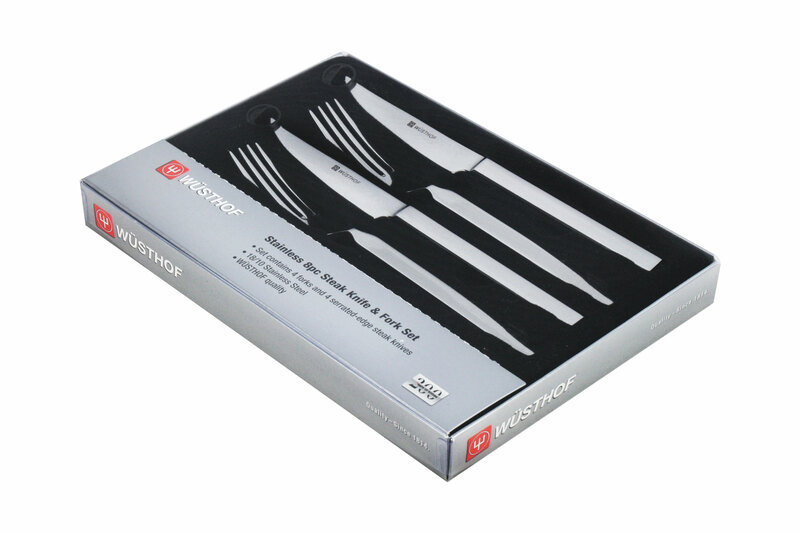 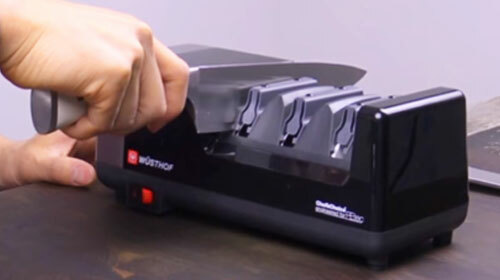 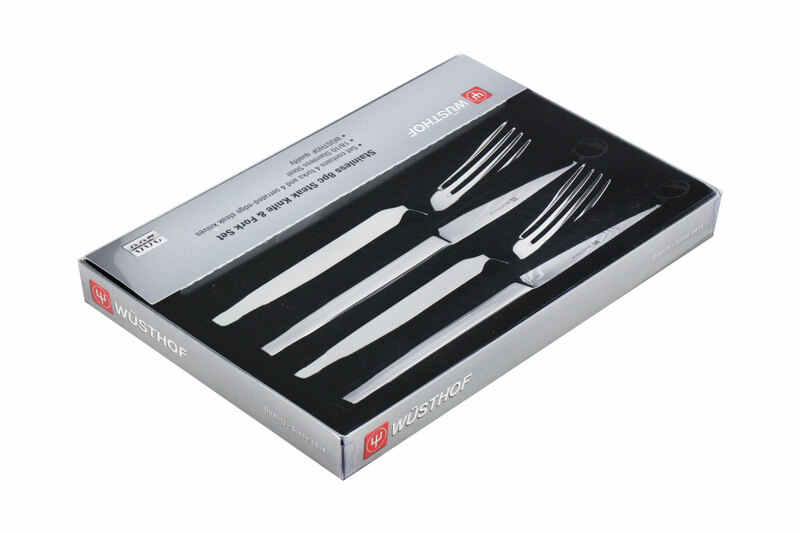 The Wusthof Stainless Steel Steak Knife & Fork Set includes 4 forks and 4 serrated steak knives. 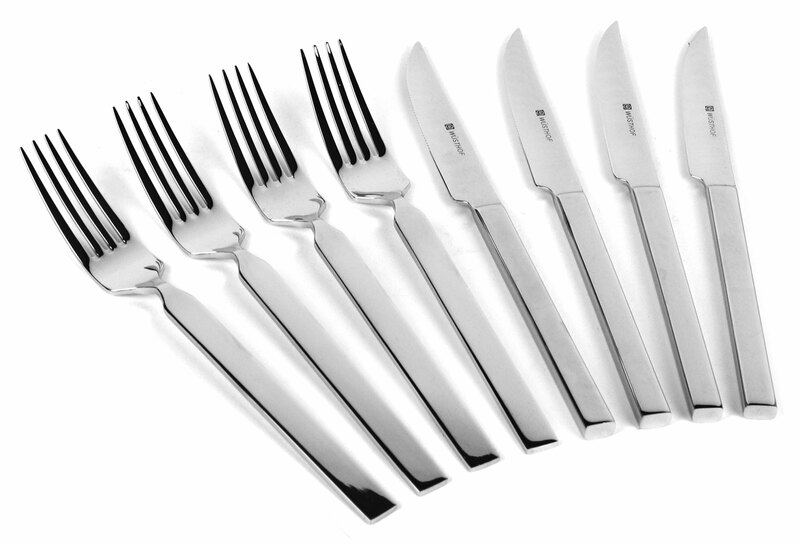 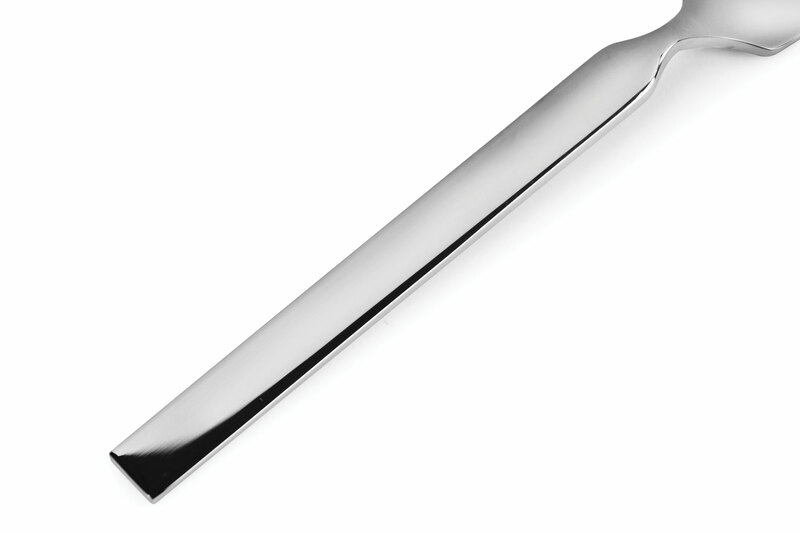 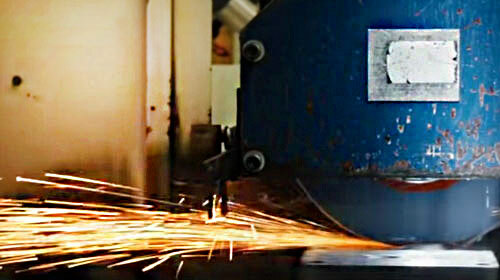 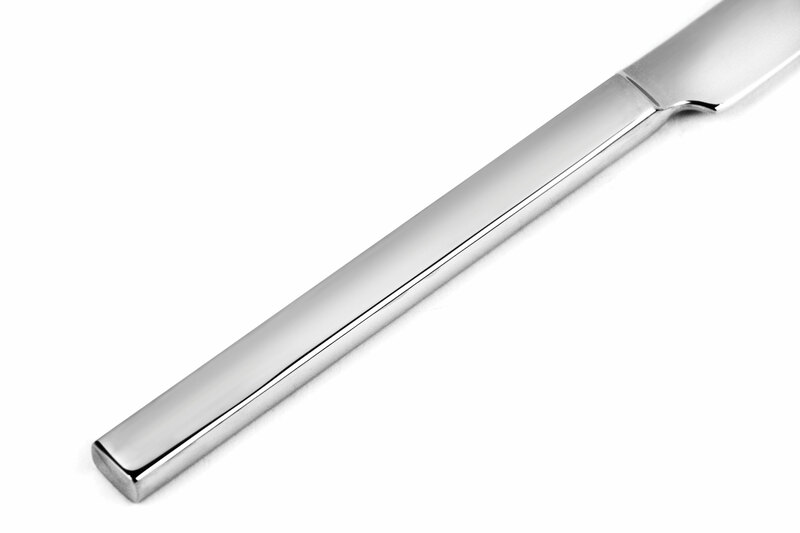 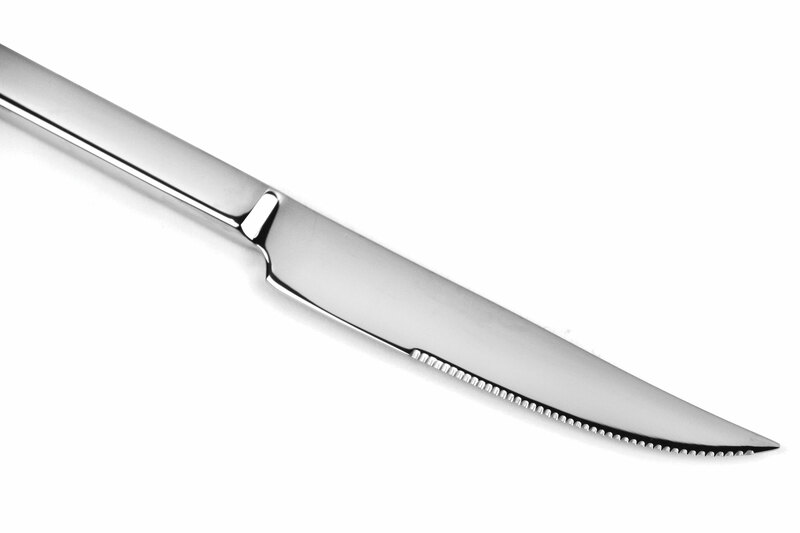 Features contemporary, polished 18/10 stainless steel construction. 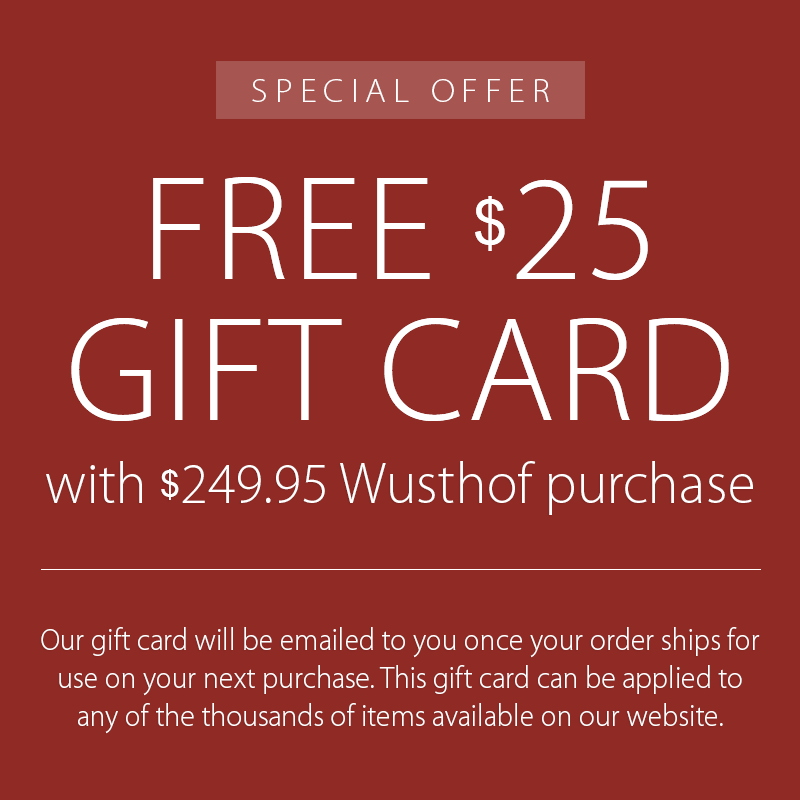 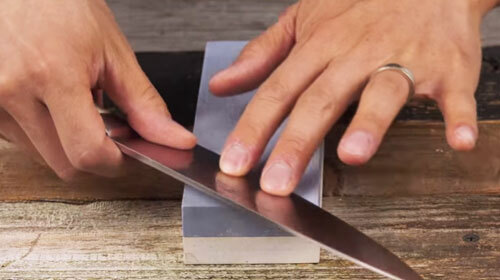 Makes a wonderful gift for first time homeowners. 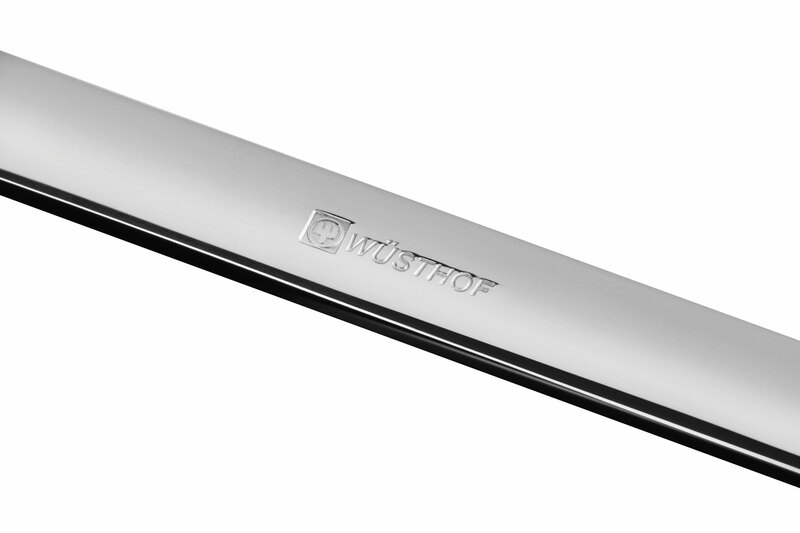 Lifetime warranty, hand washing is recommended for best care.